Emirates Global Aluminium (EGA), the largest industrial company in the UAE outside oil and gas, has announced that 75 per cent of the construction work on its giant bauxite mining project in the Republic of Guinea in West Africa has been completed. The project has a total budgeted project cost of $1.4 billion and is being developed by EGA’s subsidiary Guinea Alumina Corporation (GAC). It is the largest greenfield investment in the West African country in the last four decades. First bauxite exports are expected during the second half of 2019, said a statement from EGA. GAC has recorded almost 9 million man hours of work without a Lost Time Injury (LTI). The total recordable injury frequency rate at GAC for the year to date is 0.8 per million hours worked, less than a quarter the International Aluminium Institute’s global benchmark for bauxite mining last year. Announcing the details, Managing Director and CEO Abdulla Kalban said: "We are now entering the final phase of construction of our project in Guinea and the team in Guinea is focused on achieving ‘First Ore On Ship’ safely, responsibly, on time and on budget." 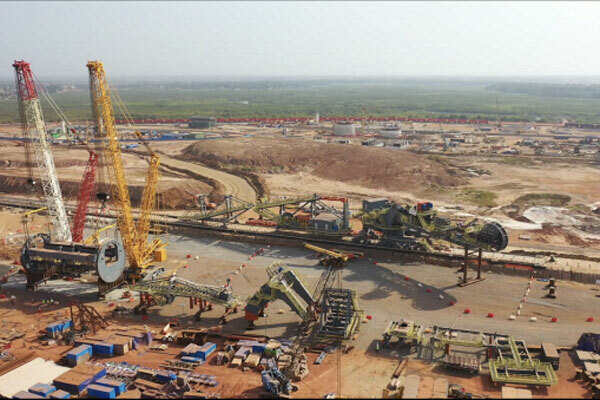 Guinea is the world’s largest bauxite resource holder, and EGA’s project will contribute significantly to the country’s exports of the ore from which aluminium is derived. Once full ramp up is achieved, the project is expected to produce some 12 million tonnes of bauxite per year. "Whilst construction continues, work is also progressing well on preparations to operate the mine and export facilities efficiently for the benefit of Guinea and EGA for decades ahead," he noted. Kalban said bauxite from the GAC project will be sold to aluminium producers around the world. The Guinea project is part of EGA’s strategic drive to expand its business upstream and internationally, building on the company’s decades-long heritage in aluminium smelting in the UAE. Almost 3,000 people, of whom more than 80 per cent ae Guineans, are currently building the GAC project. The project has taken some 23 million man hours of work so far, the equivalent of one person working for some 18,000 years. In addition to the GAC project, EGA is building the UAE’s first alumina refinery in Abu Dhabi. Alumina refineries convert bauxite ore into alumina, the feedstock for aluminium smelters, said the statement from EGA. GAC's concession is located in the Boke region of north-western Guinea, close to existing mines that are operated by other companies. Bauxite will be transported by rail to the coast, using existing railway lines that are already used by other companies. GAC has completed rail loops, and spur to connect its facilities to the existing nearby track, it stated. GAC is also building port facilities including an unloading yard and an export pier at Kamsar, a well-established bauxite port on the coast, said the company statement.